Seth’s Pick:: Head Lopper #1: I greatly enjoyed Andrew MacLean’s last book, ApocalyptiGirl, and was impressed with how he pulled together so many apparent influences into his own unique artistic voice. 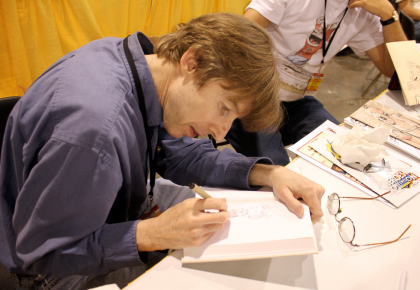 More than that, though, was the clear exuberance in the work for the craft of making the comic. You can tell that MacLean was making the kind of comic that he enjoys reading. 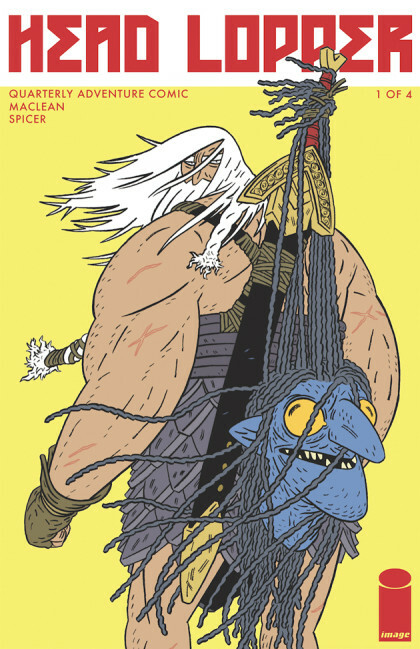 The joy continues with his new quarterly Image series, Head Lopper. While this series previously existed as MacLean’s own indie comic, it’s now available with an 80 page story plus a brand new pin-up gallery. That’s 96 pages of barbarian action, monsters, witches, swords, and all things metal, for only $5.99! Fans of classic Conan, Hellboy and Harryhausen won’t want to miss this one! 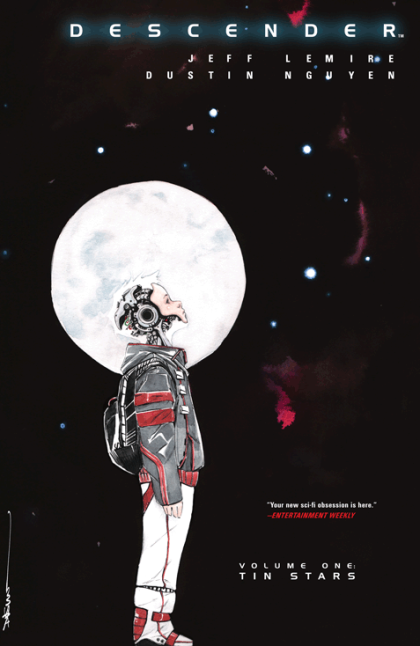 Bonus Pick: Descender TP vol. 1: If you missed out on the acclaimed first six issues of Jeff Lemire and Dustin Nguyen’s space opera, you can find them all in this week’s first volume Image collection for only $9.99! I found this to be among Lemire’s most poignant writing since Essex County, and Nguyen’s art is better than ever. In the endless sprawl of Image sci-fi comics being published today, this one certainly stands out, and is worth a close look. 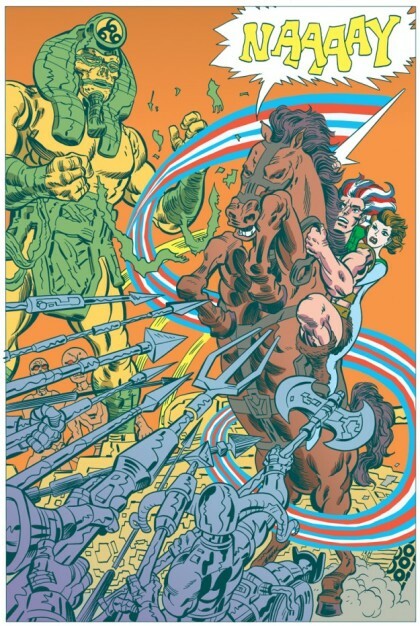 SETH’S PICK :: AMERICAN BARBARIAN: Tom Scioli has long held the reputation for being an artist who expertly pays homage to the canon of Jack Kirby. One of the things I most respect about Scioli, though, is how he not only captures and distills Kirby’s work in his own, but also channels other interests and influences. Case in point with this week’s long awaited complete collection of American Barbarian. Sure there are nods to Kirby, especially the excellent Kamandi comics, but there’s also a plethora of other monsters, robots and beings that could only jump from Scioli’s fertile imagination. As with Scioli’s must read Transformers vs. G.I. Joe series, American Barbarian is full of unabashed love for all things sci fi, fantasy, film, comics and pop culture. It takes concepts that have at times been stereotyped as low, and raised them to high comics art. Thanks to IDW, American Barbarian is finally receiving a nice new complete hardcover collection. It’s unlike any other new book you’ll see on the stands this week, and I hope you’ll take the time to relish this work in all its glory. 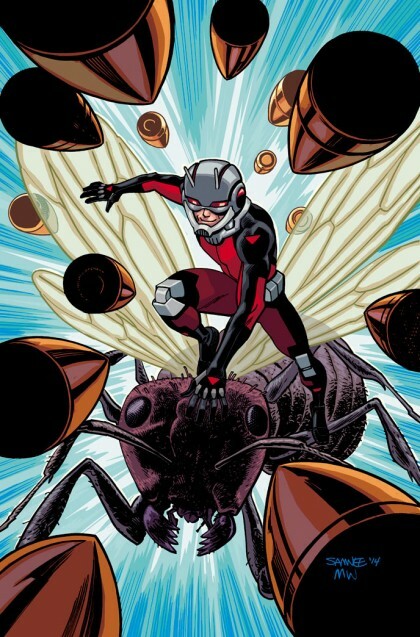 SETH’S PICK :: HAWKEYE 22: Okay…this looks bad. I’m not entirely sure why Marvel supposedly held up the publication of the Matt Fraction/David Aja finale, or why they decided to start a new (or rather, All New) Hawkeye series before the acclaimed previous run finished. Whatever the reasons, this week we finally get the opportunity to celebrate the work of Fraction and Aja on this the last issue of their impressive series. Heroes customers and readers of this blog know well that I’ve long championed Hawkeye. Until the Fraction/Aja run, the character was mostly a laughable everyman with seemingly little narrative or aesthetic value. For the past three years, that assumption has been proven wrong time and time again. Both creators exhibited a range of narrative and visual deft. 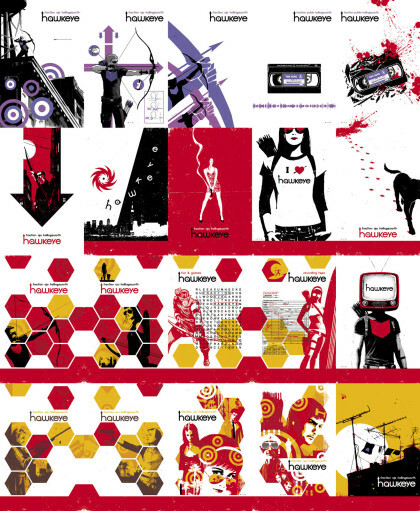 Fraction wove non-linear plot lines, callbacks and deep character studies through Aja’s Mazzuchellian visual motifs and panel layouts. The pair took a fairly bland archetypal concept and elevated it to high comic art. They reminded us of the potential of comics, superhero or otherwise. I could write endlessly about why this series is so impressive, but this is, after all, simply a Staff Pick. If you want to enjoy a thorough and critical reading of this series, I’d encourage you to link HERE to the brilliant article on The Comics Journal by our friend and HeroesCon panelist, Craig Fischer. Craig digs into close detail about the many highs and occasional lows of this epic series, and will give you an even greater appreciation for just how unique a work it has been. Thanks, Matt and David, for a remarkable series. Hopefully we’ll see the two of you team up again before too long. 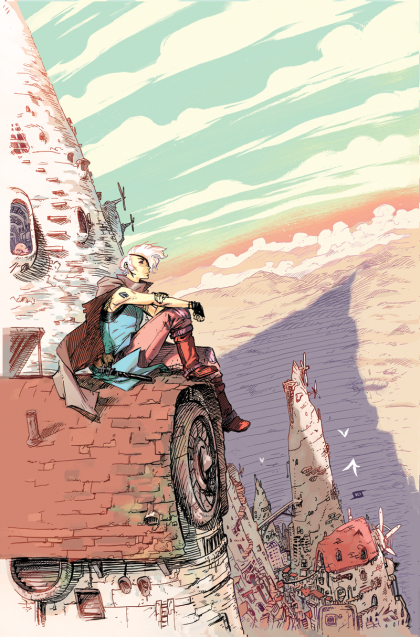 SETH’S PICK :: THE SPIRE #1: Start July on a good note this week with the latest collaboration between Si Spurrier and Jeff Stokely. You may remember their post apocalyptic sci-fi western Six Gun Gorilla from a few years ago. That book won a lot of deserved critical acclaim, and I enjoyed it immensely. The Spire features a similar apocalyptic scenario, but trades the western motifs for fantasy this time around. It also adds a murder mystery into the mix, and a protagonist who must solve the crimes as she navigates a racist and xenophobic society. 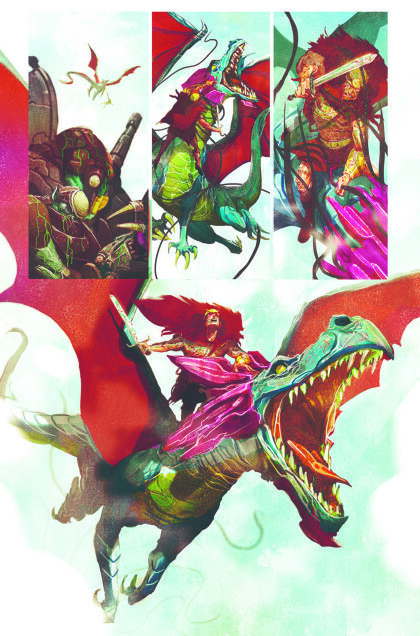 Spurrier telling a fantasy story with plenty of modern societal parallels, plus an array of monsters, strange machines and characters rendered as only Stokely can? That’s enough to sell me (and you) on this new series. Bonus Pick: Autumnlands vol. 1 TP: Tooth and Claw: This affordable debut collection (just $9.99) by Kurt Busiek and Benjamin Dewey features some of my favorite anthropomorphic fantasy storytelling in years. Dewey’s depictions of endless humanoid animal creatures is remarkable, and Busiek does a fine job of building an accessible narrative for a new world in this excellent first volume. 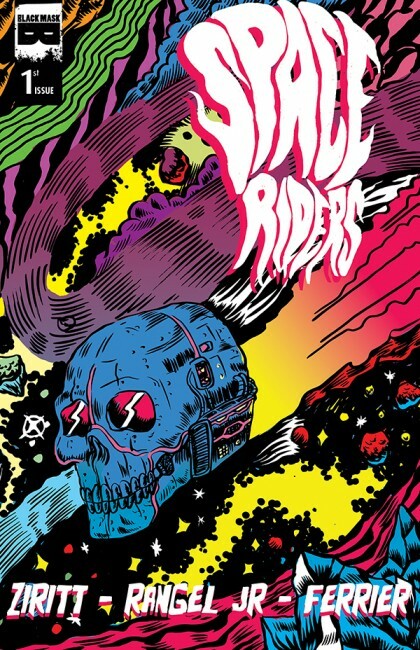 SETH’S PICK :: SPACE RIDERS #1: Space Riders is the comic Jack Kirby might have created had he been born several decades later and nursed on a diet of metal music. That’s not to say that it’s merely an homage to the timeless Kirby space epics. You can see all kinds of influences in the pages of this comic, but artist Alexis Ziritt and writer Fabian Rangel Jr. create their own unique world populated with eye patch wearing Captains, simian sidekicks and spacecraft shaped like human skulls. For all the nostalgia that Space Riders may conjure up, at its heart this comic is a perfect instance where two talented creators tell the kinds of stories they’ve always wanted to tell. Comics should be as joyous and enthusiastic as this one. If you haven’t picked up on those feelings from a comic in a while, do yourself a favor and buy Space Riders #1 this week. It’ll remind you just how much fun comics can still be. 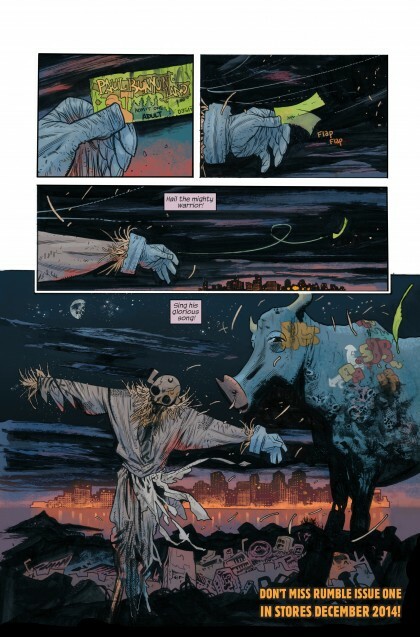 SETH’S PICK :: RUMBLE #1: What a way to end my year of Staff Picks! I’ve been eagerly awaiting Rumble #1 since it was first announced months back at the Image Expo. Sure, the blurb heralding the series – “a scarecrow-Conan fighting in a Louis C.K. TV show directed by David Fincher” – has an excellent hook. 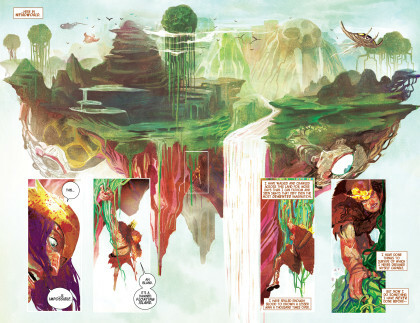 What ultimately sells it to me, though, is the creative team of John Arcudi and James Harren. Their involvement makes me think this will be one of Image’s most consistent and innovative series for as long as the creators produce it. While many of you may best know Arcudi and Harren from their reliable work on B.P.R.D., it’s important to realize that these two possess far more creative dexterity than to simply be labeled as horror creators. Arcudi excels at humor just as well as he does with developing rich characters. Harren, while known for capturing scenes of violence or horror, is a fine storyteller just as capable at crafting small, quiet scenes. These guys always produce comics worth your time, and their combined skills should be on full display with this new creator-owned series. 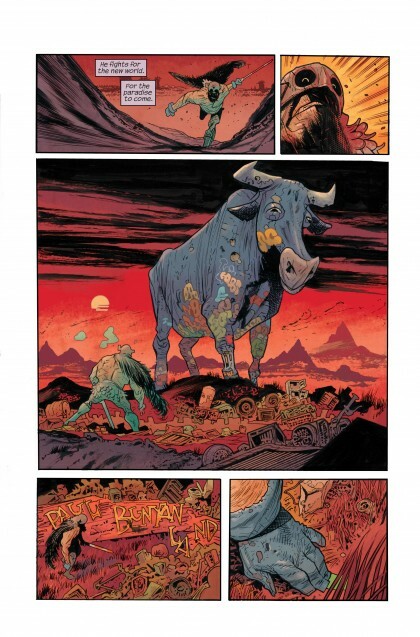 Rumble is the kind of new comic that makes me happy to be a comic retailer, and I hope you enjoy it as much as I do. SETH’S PICK :: BLACKSAD: AMARILLO: Blacksad is hard-boiled comics at their finest. The fact that they’re anthropomorphic detective stories only adds to the enjoyment. 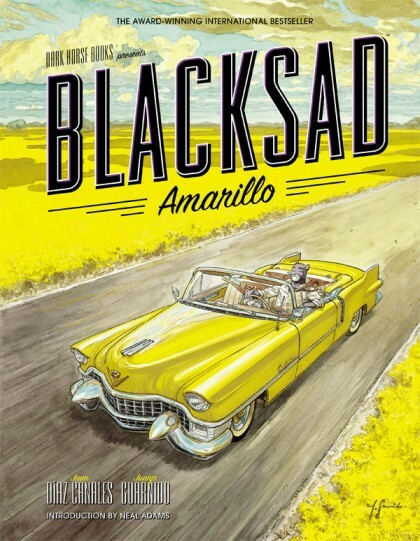 In this latest book, John Blacksad travels through Texas in a big yellow Cadillac, only to encounter brutish bikers, an evil circus and murder. If you haven’t yet read these wonderful stories from Juan Díaz Canales and Juanjo Guarnido, you’re in for a treat. Blacksad books are ones you’ll return to frequently, sometimes to reread and sometimes just to bask in the beauty of Guarnido’s art. 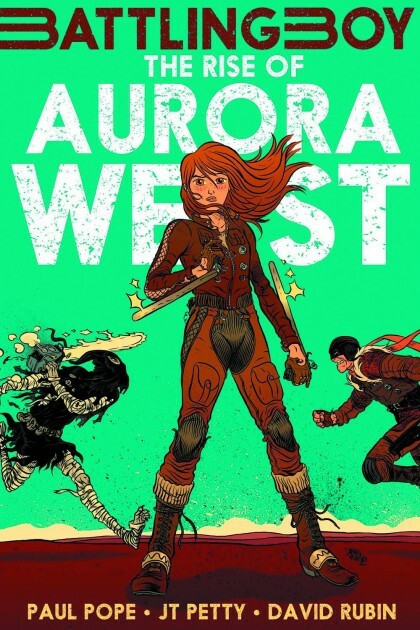 Bonus Pick: Battling Boy: Rise of Aurora West: A prequel to last year’s excellent Paul Pope Battling Boy graphic novel, this book follows Aurora West as she sets off on her heroic ways. Unlike Battling Boy, this volume is presented in a smaller black and white manga format. That said, it’s still full of monsters and action, just like its predecessor. More importantly, it’s a very forward thinking addition to an increasing number of great all ages comics.